At Garfish we don’t believe the cold will keep our customers away. That’s because we strive to entice you into the comfort of our restaurants and put some seriously delicious food on your plate. Today and tomorrow at Manly is this roasted shellfish veloute w/ prawns & avruga caviar. 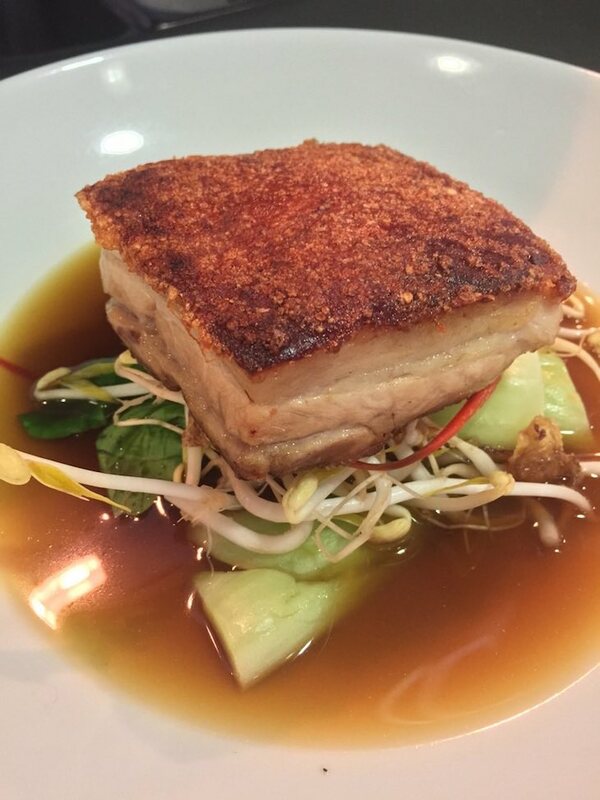 Or how about this Twice cooked pork belly w/ bok choy, chilli, coriander & asian masterstock to help keep you warm? Available this week at Manly. 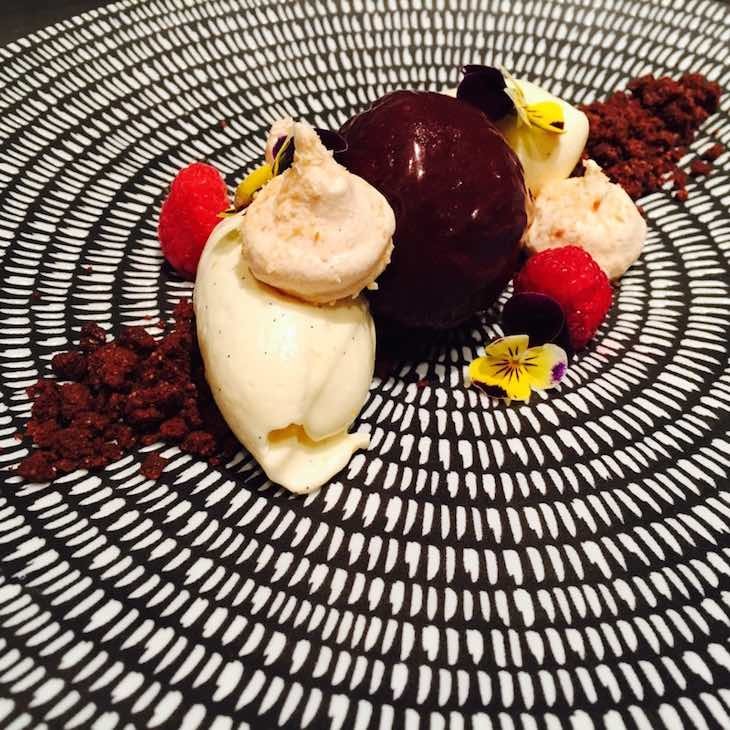 This sweet dessert available from Manly this week is both decadent and comforting. It’s a Deconstructed cheesecake w/ acia berry sorbet, chocolate soil & coconut meringue and we think it’s worth braving the cold for. 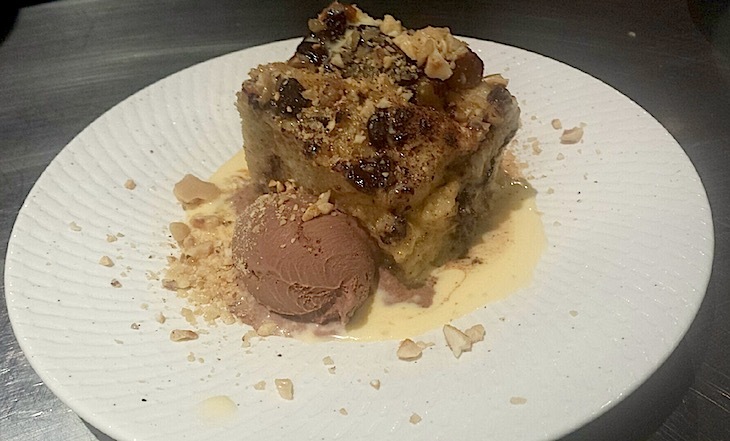 This Chocolate and hazelnut bread pudding from Kirribilli isn’t a special, it’s new to the menu this winter, but we thought it was so good it was worth featuring this week. And because it’s available all winter, you’ll be able to enjoy it more than once. 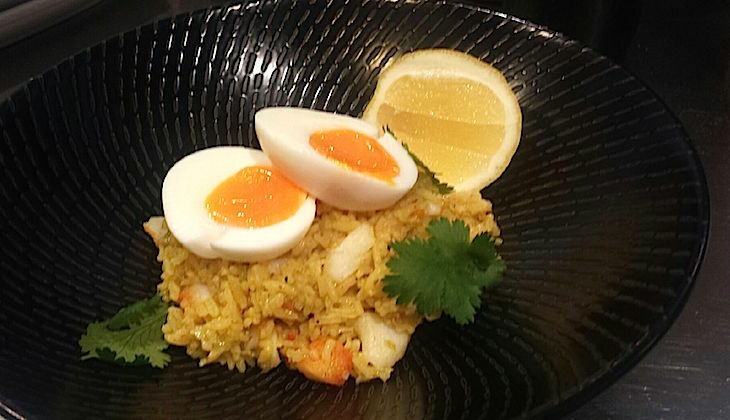 Also new on the menu at Kirribilli this winter is this breakfast dish, a Curried basmati rice and smoked cod Kedgeree w/ soft boiled egg. 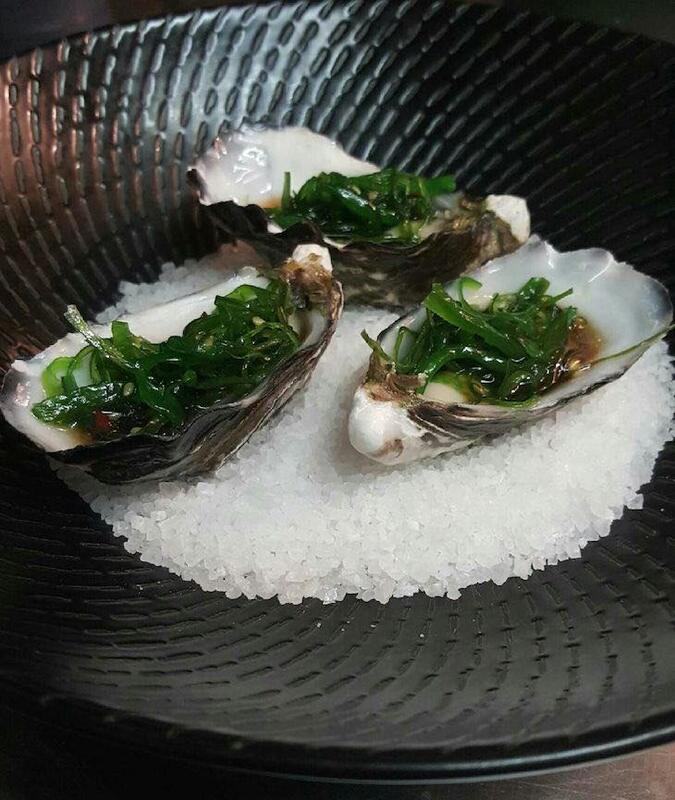 These are beautiful Pacific oysters from Cloudy Bay in Tasmania w/ sesame & wakame salad & ponzu. Available all weekend at Kirribilli. 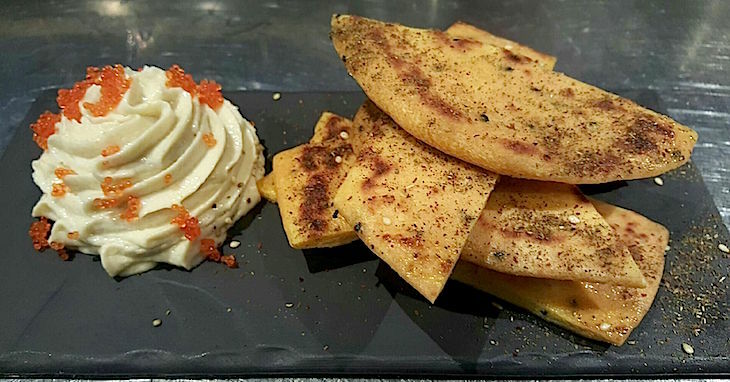 Also for a short time at Kirribilli, Taramasalata w/ flatbread, za’atar & flying fish roe. 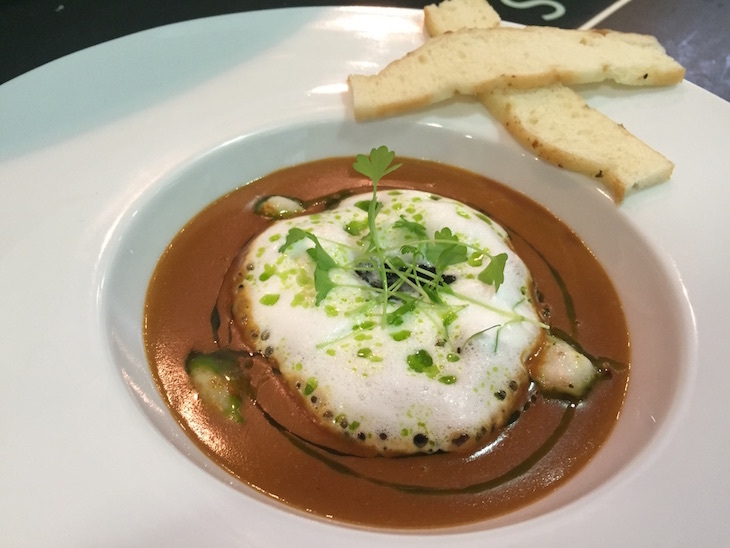 Are we your favourite seafood restaurant? A reminder that voting is open in the People’s Choice Award for Best Seafood Restaurant and the team at Garfish would love your support. 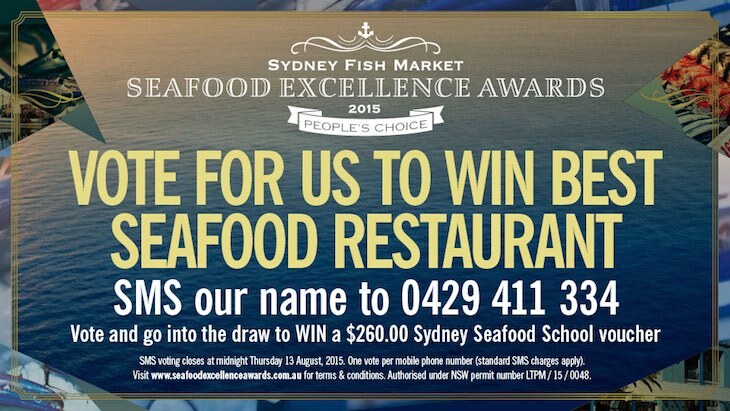 The People’s Choice Award gives consumers the chance to vote for their favourite seafood restaurant in NSW and is held as part of the Sydney Fish Market Seafood Excellence Awards. All entries go in the draw to win a $260 Sydney Seafood School Voucher! Simply text ‘Garfish Manly’ to 0429 411 334.